Hello, September, we’ve been anxiously awaiting your arrival. For most of you, September means back to school for your children, and back to work for you! 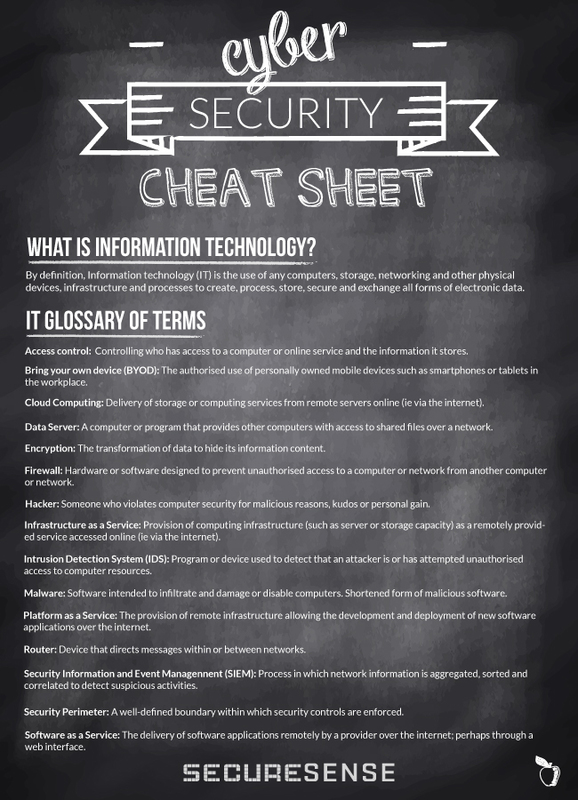 We understand how easy it is to loose track of security terminology while spending your summers at the beach, so we’ve created an easy-to-use cheat sheet for you! If you’ve kept up on your security and want to add to our list comment in the comments section below and we will provide weekly updates on the list!